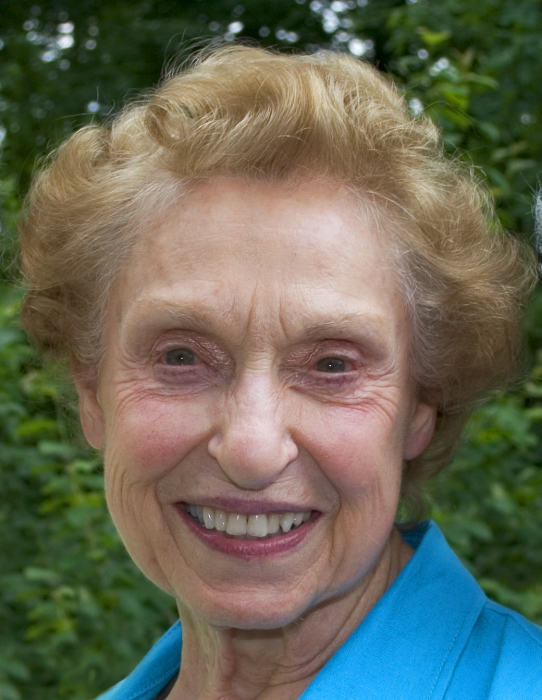 Virginia M. Trebilcock, of Liberty Township and Chagrin Falls, died peacefully on January 1, 2019, after living a life devoted to her husband, their four children, ten grandchildren and nine great grandchildren. She was 91. Like many children of the depression, Virginia experienced humble beginnings. She was born at home on a farm outside of Youngstown, Ohio on March 18, 1927. She was one of four children of Paul Blosser, a Mennonite farmer turned machinist, and his wife Cora, a talented seamstress, doll maker and floral arranger. Her father wanted her to become a teacher, but always an independent woman, she had other ideas. Rather than go off to college following her graduation from Liberty High School in June 1945, Virginia boarded a train to Boston against her father’s wishes. She married Charles Trebilcock, her high school sweetheart, on June 21, while he was on shore leave from the Merchant Marines. They began their life together with $50 between them. They spent 72 years happily married before Charles’ death in 2017. Within days of their wedding, Charlie, as he was known to everyone, shipped off to Europe. Just 18, Virginia remained in Boston, living in a small walk up apartment with a shared refrigerator in the basement. She supported herself working in a bakery and at the Woolworth’s lunch counter. After the war, the couple moved briefly to New York City, where they lived above a Salvation Army, before returning to Liberty Township. They lived in Trumbull County for 65 years and raised four children before moving to Chagrin Falls, Ohio to be closer to family. Virginia never sought the limelight. Instead, she was the quiet backbone of the family. For years, she was the bookkeeper, secretary, administrator and only employee of Liberty Industries, the company Charlie founded in the early 1960’s. She held those positions long after the company grew into an industry leader, and continued to do the payroll for other family businesses into her 80’s. From her farmer father she inherited a love of gardening and from her mother, Virginia inherited a knack for refinishing furniture, wall-papering, painting and cooking. She was happiest when she was at home, working in her garden, tackling projects around the house and spending time with her family. A woman of deep faith, she remembered each of her children and grandchildren by name in her nightly prayers. Warm and generous, she was loved by everyone whose lives she touched, including her children, grand- and great grandchildren, her nieces and nephews, her children’s friends and the caretakers who helped her in the final year of her life. Survivors include her daughter, Margaret Ringness (Ronald) of Chagrin Falls; Charles Trebilcock (Renee) of Tampa, Florida; Robert Trebilcock (Margaret) of Keene, New Hampshire; and David Trebilcock (Jill) of Tulsa, Oklahoma; along with her grandchildren and great grandchildren. Private services were held at Blackstone Funeral Home in Liberty Township on Saturday, January 19th.